Quick, name a high-paying profession that doesn’t require a four-year degree. Stumped? The reality is that while fields like computer science and medicine are white-hot, there are still many trade jobs that pay extremely well and don’t require nearly as much formal education. And the current work force is aging out, with current estimates placing the average age in the trades as mid- to late-50s. The “trades” is a shorthand umbrella term for technical work—plumbers, welders, automotive, even cooking. 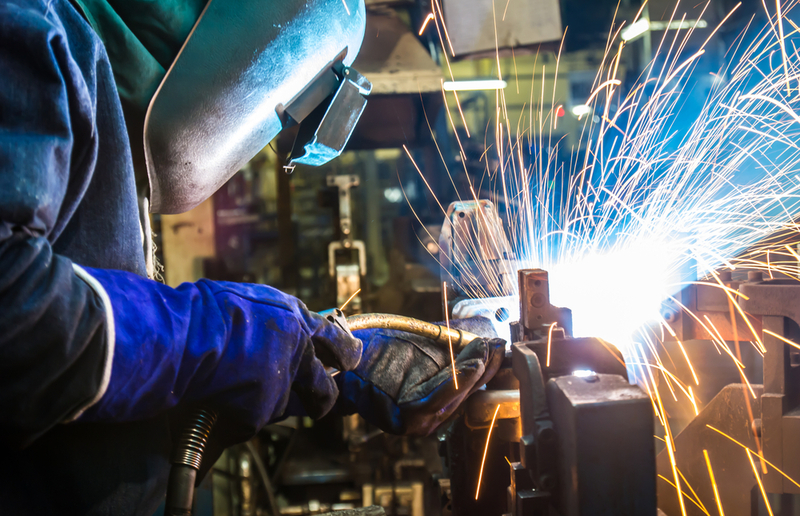 And while the Association for Career and Technical Education (ACTE) estimates that welder in the beginning of his or her career can make north of $55,000 a year, filling trade positions can be challenging. He emphasizes that even if a trade worker starts with only skill certification, there’s no reason they can’t eventually get a two- or four-year degree. And data shows that high school students who train for technical jobs graduate at much higher rates: 93 percent, versus the national average of 80 percent. Quentin Metheny, an auto mechanic in his father’s automotive shop, told WJLA that there’s opportunity—and money—waiting for those who look at options other than four-year colleges. “I don’t have many kids calling me that are young, ‘Hey can I be an oil change guy, can I come and learn?’ And that’s what we need,” he said.